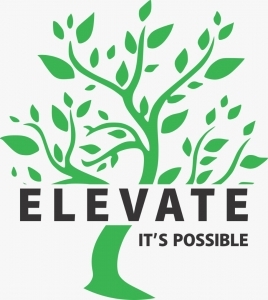 It seems we only know a bit about Elevate Namibia. You can add more information here. Lead with the aim to ensure value growth by maximising the overall performance of the property portfolio. Responsible for managing client expectations and ensuring the property portfolio performs optimally and in accordance with agreed targets at all times. Manage, lead, motivate and develop the team within your area of responsibility.  B-Comm Degree with 5 years of experience within the Property Management industry or similar of which at least 3 years are in a managerial role.  Knowledge and understanding of Centre and Property Management procedures.  Additional related Property Management or Facilities Management experience will be an advantage.  Assumes responsibility for the overall and effective operations management of the properties and all related facilities.  Assumes responsibility and ensures implementation of Client specific expectations including but not limited to strategy implementation and on-site operational goals and targets.  Provides continuous Client feedback in respect of the property(ies) under management and ensures that responsibilities as contained in the Client’s Management Agreement are adhered to at all times.  Assumes responsibility for ensuring professional business relations with tenants, suppliers, contractors and trade professionals.  Assumes responsibility for the timeous monthly management reporting.  Develops and implements departmental procedures to optimise and improve service delivery to the Client at all times.  Ensures that all buildings, grounds, and equipment are well maintained and in optimal working condition at all times.  Ensures that all operational activities are dealt with in accordance to established Health and Safety regulations.  Assumes responsibility for the security, cleaning and maintenance of all facilities under management. Conducts regular inspections and implements improvements as necessary.  Administers, interprets and enforces lease provisions.  Leads reporting staff to ensure optimal performance at all times.  Excellent leadership and communication skills.  Ability to organise, coordinate, manage/lead and directs teams.